"I eat, sleep and run. It is part of my life. I will someday stop competing, but I will not stop running." - The great Haile Gebrselassie. 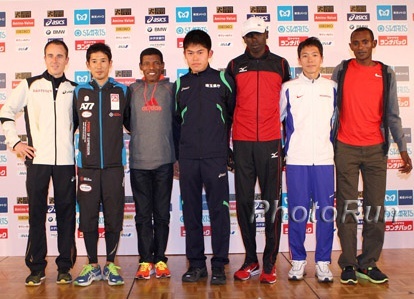 Gebrselassie kicks off a great 3 hours of running tonight at 7:10 pm Eastern as he tries likely for the last time at the Tokyo Marathon to make his final Olympic team. Then at 10 pm Eastern, Bernard Lagat and Galen Rupp square off again. 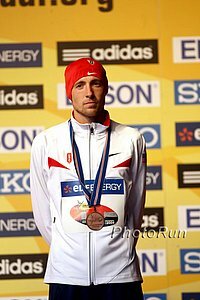 "Galen Rupp won't concede anything when he takes on Bernard Lagat"
Nick Symmonds Tweet: Someone should remind them (Letsrun.com) it's February. 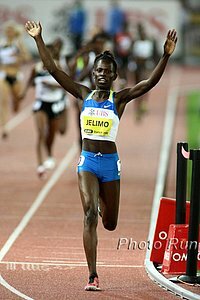 Almost As Good As World XC: World's Best 10k Preview: Superb Women's Race: Linet Masai Vs. Vivian Cheruiyot Vs. Shalane Flanagan Their is no World Cross-Country this year, but the top 3 from last year are all racing at what is arguably the premier 10k on American soil. Photos from Flanagan's bronze here. 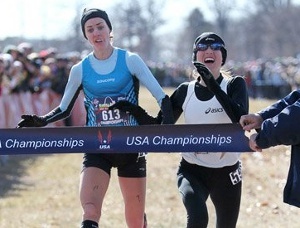 Want To Know More About The Athletes' Battle With USATF On Uniform Restrictions? We Figured It Out. 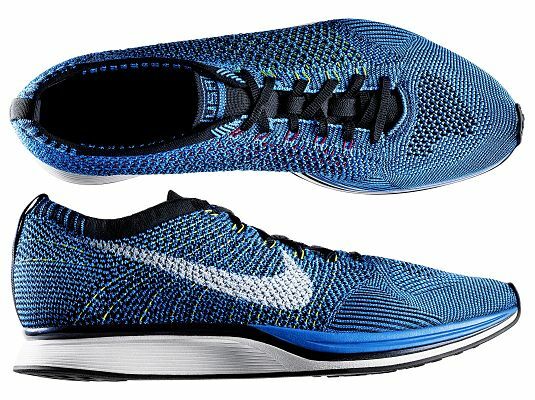 LRC USATF And Athletes At Impasse Over Uniform Regulations: USATF Says Blame Nike Contract The problem we see is USATF is blaming its inability to allow more logos on its sponsorship contract with Nike when the Nike contract says nothing about sponsors' logos. Fired former USATF CEO Doug Logan, who negotiated the Nike contract, says he'd even testify on the athletes' behalf. Previous: Athletes have an excellent memo here on their position that includes details on the USATF contract and USATF states its position here. 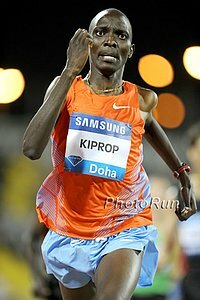 Great Quotes From Kiprop: Asbel Kiprop & David Rudisha Highlight Fields At March 3rd Melbourne Track Classic Kiprop: "When I came onto the athletics scene in 2007 I was childish in athletics, I had no skills at all, no experience. 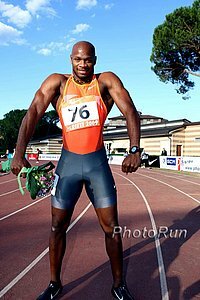 I was just happy to run on the track with those guys like (D.K.) Komen." Jamaica's Michael Frater Headlines Australia's 131-Year-Old Stawell Gift Race 120m handicapped race on a grass track with $43,000 to the winner. Craig Mottram On Aussie World Indoor Team In The 3k; Penn State Alum Ryan Foster In The 800 World 100m hurdles champ Sally Pearson is in the 60m and 60m hurdles. 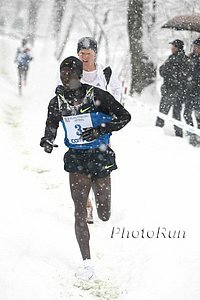 LRC Lagat Vs. Rupp Round 3: Is This The Time Rupp Finally Beats Lagat? Galen Rupp has never beaten Bernard Lagat in 11 tries. As Alberto Salazar has acknowledged, he's never come that close. They square off for the third straight year at USATF indoors Saturday night at 10pm Eastern. Is the year that all changes? Click to read out preview of the 3,000m in Albuquerque and our preview of Geb's run in Tokyo, as Saturday night will be a great night for distance fans. 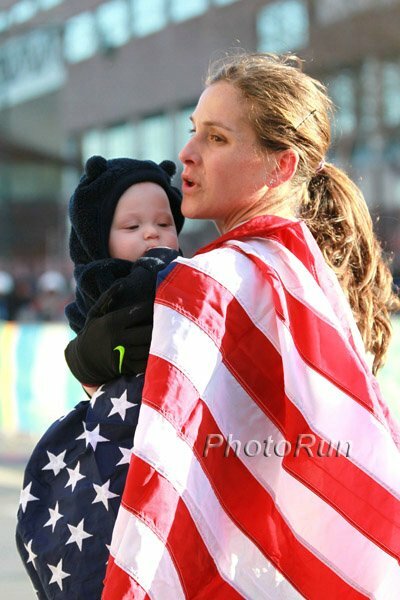 Jenny Simpson Confirms She'll Defend Both Her 1,500 And 3k Titles At US Indoor Champs Her main competition will be Sara Hall in the 3,000m and Brenda Martinez in the 1,500m. Sunday also has Centro Jr vs Manzano in the mile. 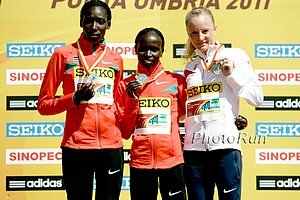 21-Year-Old Marina Pospelova Runs World-Leading 1:59:45 At Russian Champs She didn't run the final. *Athletics Weekly Recap: Mohamed Aman Wins 800 In 1:45.84 As Adam Kszczot Is A Disappointing 5th Worth noting that last week the roles were reversed, as Kszczot won in 1:44.57 and Aman (the man who beat David Rudisha) was 5th. *ACC Day 1: Virginia sweeps top 3 in 5k, no Robby Andrews. *Big 12 Coverage Day 1 results here. German Fernandez didn't run but was mentioned in the OSU press release, so we assume that means he runs Saturday. Many of the above meets have live streaming at the coverage links above. 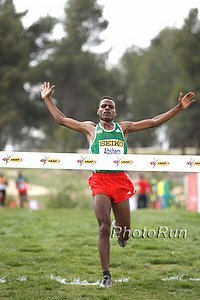 Fabulous Read: San Diego Tribune On Eamonn Coghlan's World Record In Indoor Mile 31 Years Ago We can give this the attention it deserves after this weekend's action.